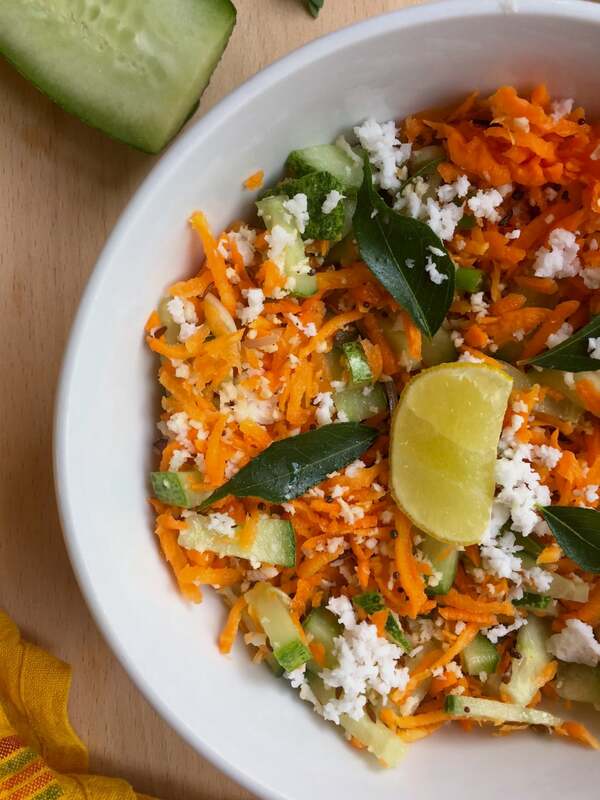 Recipe for an easy, ready-in-less-than-15 minutes, Shredded Carrot, Coconut and Cucumber Salad. 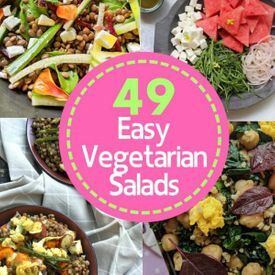 A healthy way to eat your vegetables, the recipe is also vegan and gluten-free. Trust me, I’d think the same thing before this shredded carrot salad became a lunch-time regular in my home. With a perfect balance of flavours and a good smack of tempering that my great grandmother (bless her soul) would approve, this salad has all the potential to be the star of your dining table. There’s more that makes this salad so good! With the world going ga-ga over the health benefits of coconut (and rightfully so), you don’t have to feel guilty about that generous handful of coconut here. It adds a delicate sweetness to the salad. 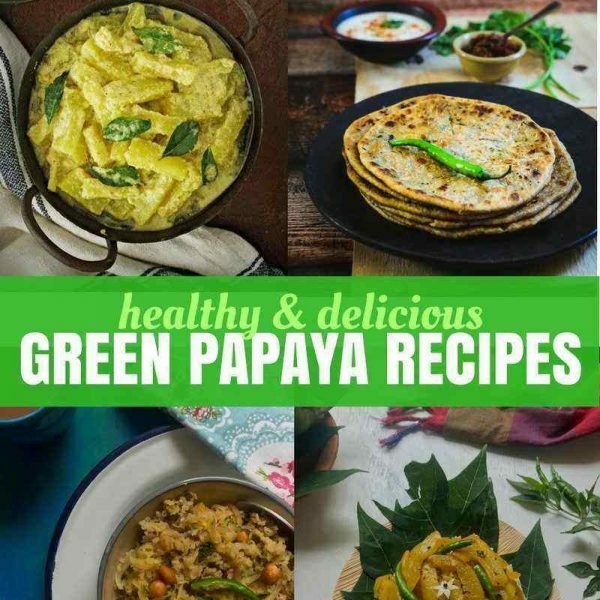 Feel free to add as many green chillies as your palate can tolerate. 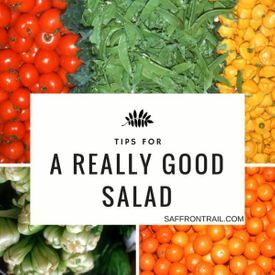 It complements the sweetness of the carrot, cucumber and coconut in the salad perfectly, and then the squeeze of lemon to round it all off. The idea is to add one of the above, and not all of the above, because you want to turn into into an utter mishmash of everything in your refrigerator. If you have a spiralizer, you can spiralize the carrot and cucumber for this salad for added visual appeal and slightly different texture. Scrub the cucumber and cut into small pieces. 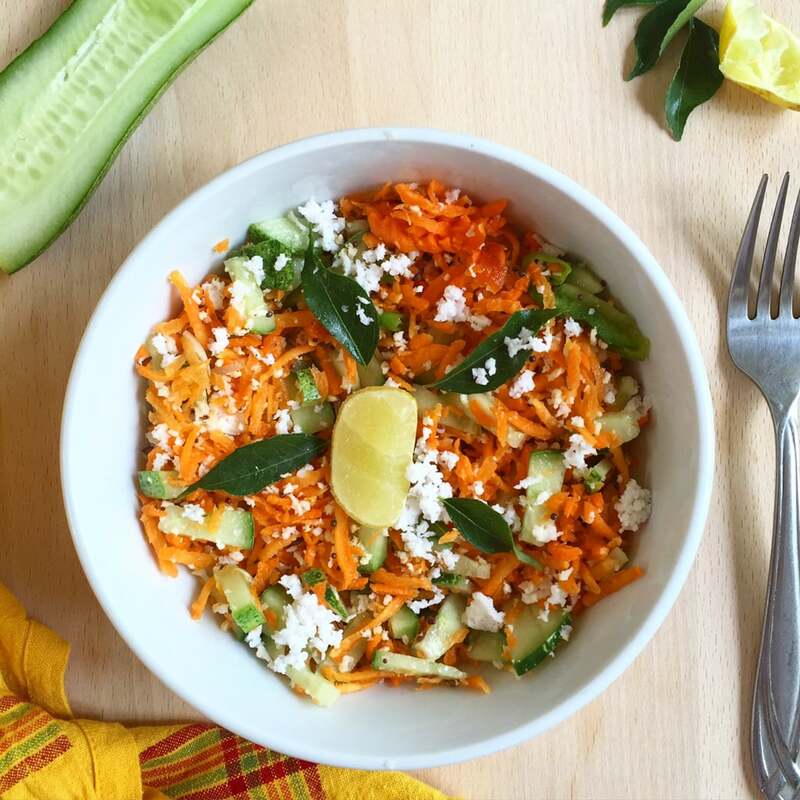 In a bowl, mix together the grated carrot, chopped cucumber and grated coconut. Squeeze the juice of one lemon, add salt and pepper and stir well to combine. In a small tadka ladle or a pan, heat the oil. Add all the tempering ingredients. Once the mustard seeds splutter, transfer the tadka (tempering) over the salad and stir to combine. Serve immediately or cover with cling wrap and refrigerate until ready to serve. 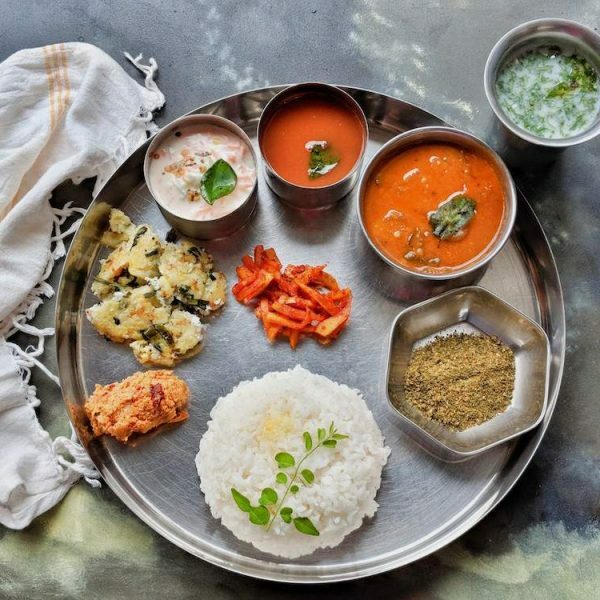 Serve the salad with Mysore Rasam and Steamed Rice. Like what you see here? Stay connected with me on Instagram,Facebook, BlogLovin' and Pinterest.